Inner cities are most likely to lose out when the new school funding formula is announced – but leaders don’t know how deep the cuts will be. Peter Haylock is worried. He is executive principal of Fulham College Academy Trust, an umbrella organisation for three secondary schools in south-west London. Like schools throughout the country, his are facing higher costs as the result of a 1% increase in teachers’ salaries, and an increase in employers’ contributions to National Insurance and pensions. “When approximately 75% of your budget is spent on staff, those costs are a significant percentage,” he explains. Haylock has started to make efficiency savings, but he now fears being hit by the government’s new national funding formula for schools. Currently, the government provides each local authority with a dedicated schools grant (DSG). Each authority retains some of the grant for central educational spending, and distributes the rest to individual schools according to a locally-calculated formula, subject to certain restrictions. They can also top up the grants to schools from their wider budget. Under this system, some authorities receive more funding-per-pupil than others. Inner-city authorities are the biggest beneficiaries: the 10 best-funded areas in England are all in London, with the City of London topping the table at £8,595 per pupil. Nottingham, Birmingham, Manchester and Liverpool all do well while the worst-funded are rural and suburban authorities such as Wokingham (which receives £4,158 per pupil), Poole and South Gloucestershire. In March, the government opened a consultation [pdf] on a proposed new national funding formula. Under this formula, which aims to iron out the inequalities in the current system, the funding each pupil attracts to the school will be determined nationally. The formula will allocate funds according to a number of factors categorised under four broad headings, or “building blocks” (basic per-pupil funding, additional needs, school costs, and geographic costs), but we don’t know yet what weighting will be given to each factor. The original plan was to introduce the new formula in April 2017. The disruption caused by the change of government, however, led to a decision to delay implementation until April 2018. The government plans to respond to the first consultation, and launch a second consultation, this autumn. The National Association of Headteachers (NAHT) believes that funding reform is overdue, but has concerns about the timing and the potential impact on inner-city schools. Valentine Mulholland, the NAHT’s head of policy, says: “The last thing you want to do is bring in a new national funding formula at a time of funding crisis.” Schools are already struggling with extra costs and will be hit again by the apprenticeship levy of 0.5% to be introduced in April 2017. In the new model, a portion of the per-pupil funding will be allocated according to deprivation. A pupil’s degree of deprivation will be determined partly by postcode. While this will work well in parts of the country, Hull says they make no sense in an area such as Islington, where rich owner-occupiers live next door to people in social housing. There are concerns that the dramatic improvement in London schools’ results in the past 15 years could be reversed if funding is cut. Sue Macmillan, cabinet member for children and education on Hammersmith and Fulham council, argues that it makes more sense to “level up the rest of the country than bring London down”. 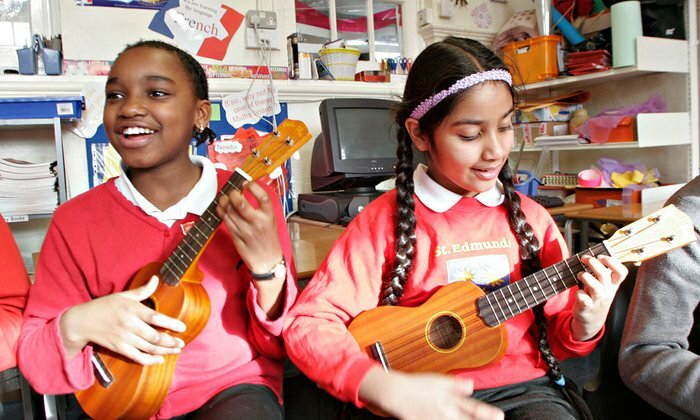 In Hammersmith and Fulham, says Macmillan, heads are already making efficiency savings by collaborating with other schools, and some are expecting to cut staff numbers. In the meantime, they are also struggling with recruitment as the rising costs in the capital drive teachers away. White finds himself in a difficult position. His school has 125 in each year group, currently split into five classes. One option is to increase intake, but in the school’s small classrooms, more than 25 children becomes a squeeze. His perception is that financial pressures are forcing families to move out of inner London into outer London, which would make it harder to attract a bigger intake. Currently, he says, morale at the school is good, and he is reluctant to do anything that will impact that, although he has made a small number of redundancies and almost all his new hires this year are on temporary one-year contracts. The government has pledged to open the second consultation this autumn. The concern among London heads and councils is that the dramatic improvement in results in the city will go into reverse if the new formula is applied.